The decreasing number of young entrants to the hobby combined with the its aging demographic is of concern to many. The Museum of Flight, with its over 100k young people ages 5-18 who participate annually in its aerospace education programs, provides a unique laboratory to examine what could work to expand youth involvement. I believe that the answer exists, we just need to figure it out! Last edited by pterodactyl : 06-15-2017 at 02:52 PM. TARC and SLI are important programs. Historically local recreation programs and after school and PTA programs have provided FAR more model rocketry introductions. 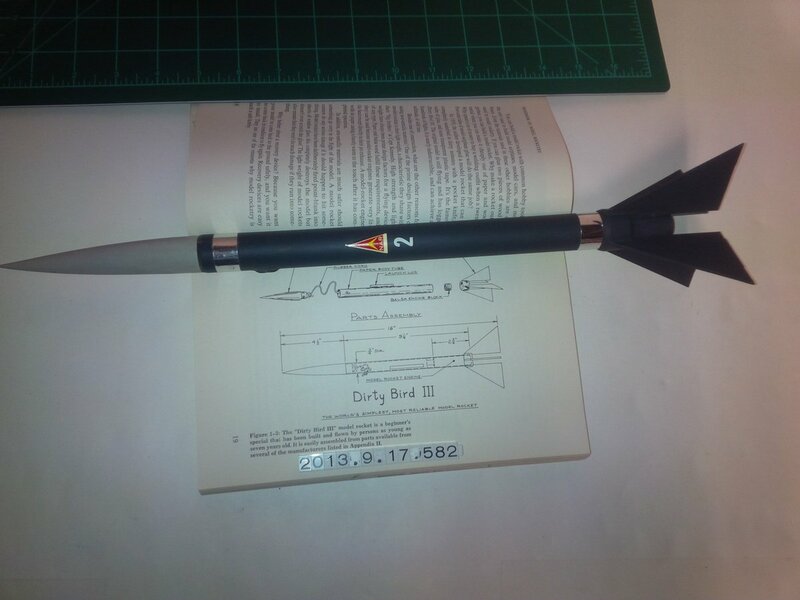 Not everyone becomes a rocket scientist of course or even a STEM person, but exposure to model rocketry gives craft skills, pyro and physics exposure, team building and even exposure to multi-gender in an active outdoor sport. I have seen it. It rocks. You might have heard that there's a new Apollo exhibit at the MOF. 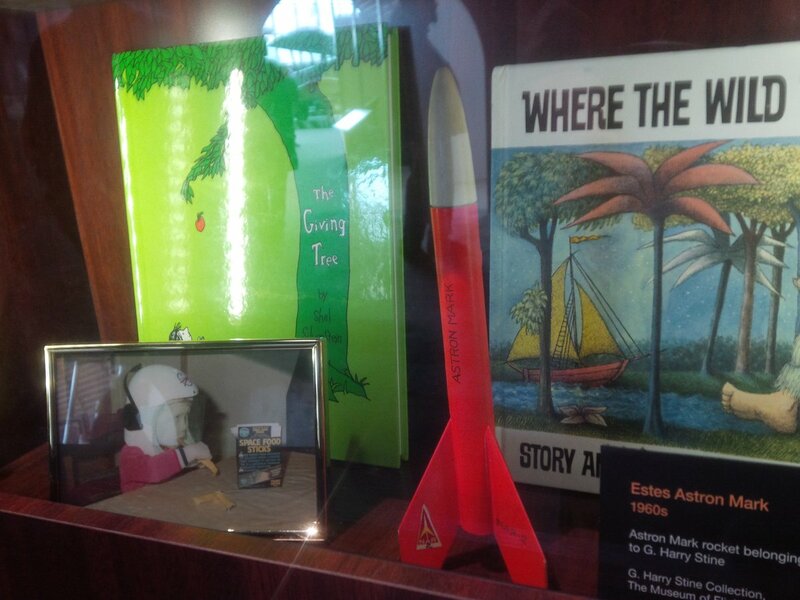 Not all the rockets in the exhibit are the big boys. Note the Leroy Lettering ink "Astron Mark" and "NAR 2" markings. This kit was designed and built by Harry in the pre-decal era of Estes kits. Somebody once said anybody who could use a Leroy Lettering set was a genius. G. Harry did it on a curved body tube!! I knew I was gifted! I worked for a civil engineering company in high school and used Leroy lettering set to write the legal property descriptions on land plats. The text could take over a day to write (a couple paragraphs), compared to a 1/2 day typically to create the drawing. At Harry Stine's first meeting with MPC management the "big boss" at the end of the long table said "we're going to have a dollar rocket, and its box is going to be this long" as he held his hands about 8 inches apart. That "dollar rocket" became the Pioneer. 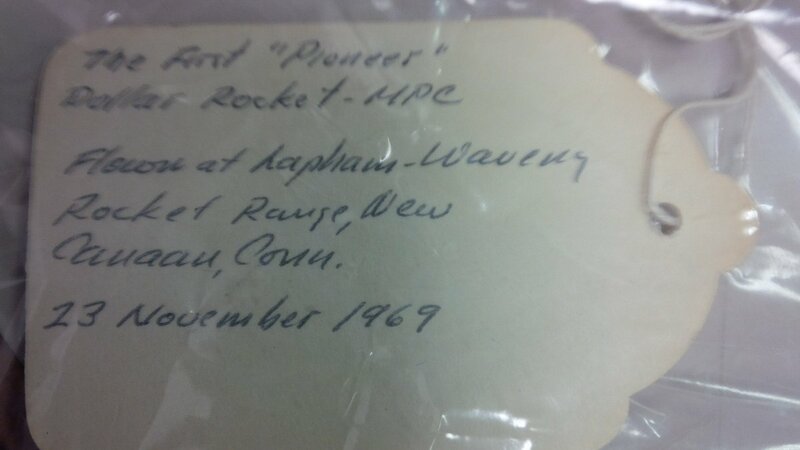 Here is the ID tag, written in won Stine's hand, from the Pioneer prototype in the National Collection. If you take a peek at Waveny Park on Google Maps, you'll find its across the street from the YMCA in New Canaan, CT, the home of the legendary YMCA Space Pioneers NAR Section. Last edited by pterodactyl : 06-10-2017 at 08:33 PM. 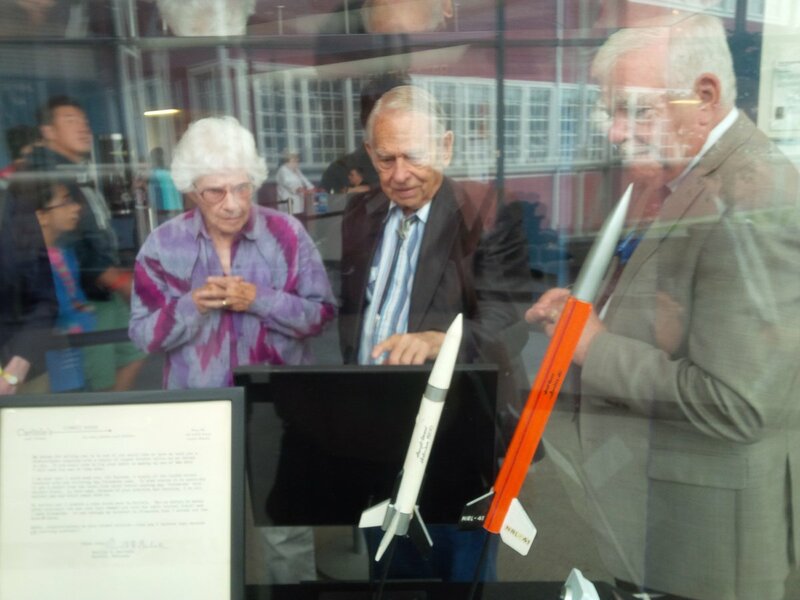 Some familiar faces examined artifacts from the National Collection on exhibit at the Museum of Flight back in 2014. The gentleman on the right is MOF Curator Dan Hagedorn who you might have seen on a few episodes of Travel Channel's Mysteries at the Museum. Museum of Flight curator Dan Hagedorn examines a piece of Amelia Earhart's plane. FWIW, I've attached the bibliography of Stine's work that I've been compiling. It's certainly not complete, but it contains items that I've not seen anywhere else in one place. I hope it might be useful. Gary, that is just a remarkable piece of work! Well done sir. That list will likely be of great assistance to the library staff at the Museum. This bibliography provides a valuable insight into G. Harry Stine's indelible legacy as a proponent of rocketry and spaceflight at the dawn of the Space Age. The Stine Collection has a tremendous early Sixties example of an Astron Ranger built by G. Harry himself. The man had exceptional building skills that really set the standard for that era. Having said that, common practices used today such as filling body tube seams or clear coating are not in evidence likely due to a lack of modeling materials of the type easily available to today's builders. The decorative "Astron Ranger" has been flawlessly applied with Letraset dry transfer lettering which was pretty high tech stuff in the early 1960's. A technical advance over the Leroy Lettering option we saw earlier! By any measure its a beautiful model build by "The Old Rocketeer". So who shall be the first among us to replicate this fine model? Last edited by pterodactyl : 06-15-2017 at 02:55 PM. For Fathers Day 2017, here's a 1959 design from the "father of model rocketry", G. Harry Stine, in the Handbook of Model Rocketry from 1965.